Functions are first compiled via preprocessFile command or loaded dynamically via the loadFile command. They are then executed via the call command. 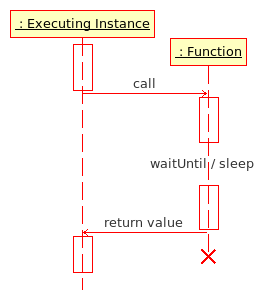 Since Armed Assault the preprocessed function has to be compiled in order to call it, because call needs Code as argument.